Overview… a former street rat in a world of trouble. 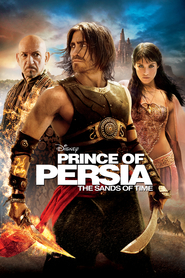 Prince Dastan was wrongfully accused of killing his adoptive father, King Sharaman, and forced to flee. He’s determined to prove his innocence to the rest of his family and to Persia as a whole. But first, he must navigate the treacherous desert in order to return. Using the mysterious Dagger of Time, Dastan discovers that he has the power to turn back time. Personality… confident and rash, but loyal. Dastan isn’t the best at following orders, but he usually has a good reason for not doing so. His first priority is furthering the interests of his family, and if that means disobeying a few misdirected commands, so be it. His boldness normally pays off in the end. Dastan's popularity ranking on CharacTour is #3806 out of 5,000+ characters. See our top-ranked characters and read their profiles.